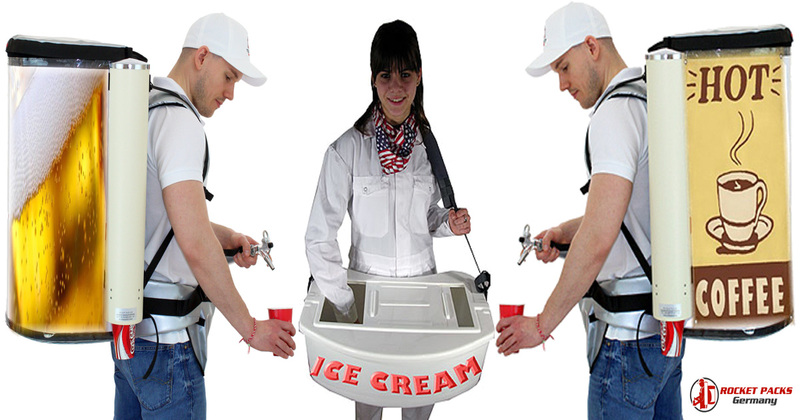 Our dispensers are portable, allow self-service and are fun to use. In business terms it increases drinks turnover and reduces staff requirements in any venue where drink is served. 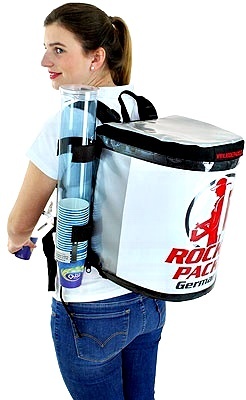 The beverage backpack particularly makes versatile selling and sampling of beverages of all types possible. 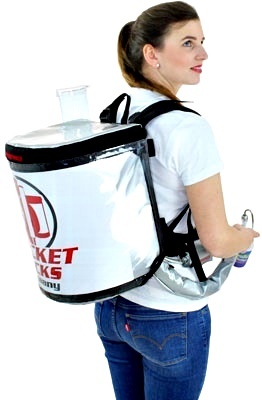 Production & Marketing – Backpack Drink Dispenser, Vendor’s trays! 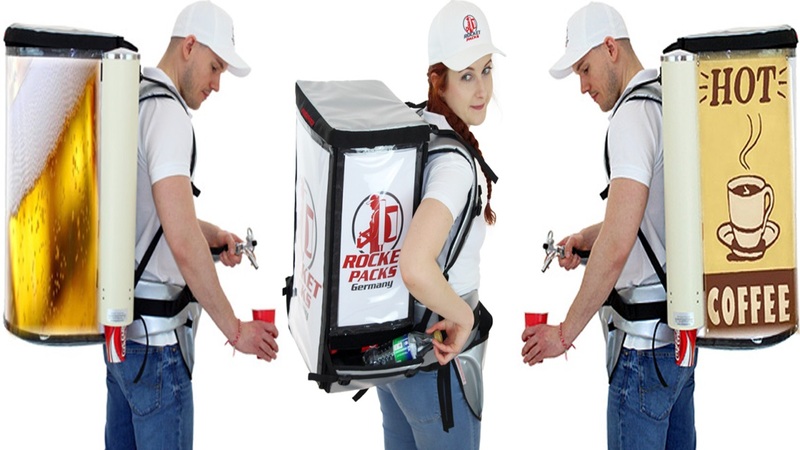 Rocket Packs owns a variety of diverse backpacks with bar systems. Types for various applications. 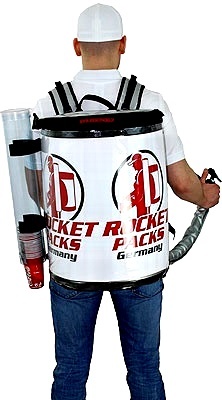 Rocketpacks has various sorts of backpack dispensers, which have been developed and can be used for various purposes. that has been developed for the dispensing of CO2-containing beverages/products. It stands out due to its light but sturdy construction. 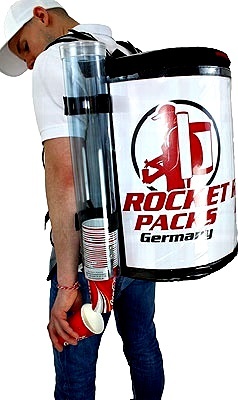 It is available as a AFG or keg version. Its perfect wearing comfort, the professional appearance and its high functionality form the basis for a strong (brand) appearance. Behind an easy-to-change, glass-Clear PVC film there is an advertising space with the dimensions.